When people think of roofing, the first thoughts that often come to mind are about leaks and re-roofing. However, experienced roofers like those working with Shelton Roofing don’t limit themselves to just focusing on these services. The roofs of Menlo Park, CA houses have other needs that the professionals can help with. Roof flashing and gutter repair are two ways roofers can focus beyond the traditional services. Roofs are usually a combination of a variety of materials: shingles, insulation, and their supporting structure. The problem with this is that combining them into one piece leaves a lot of space in the joints where these different materials are supposed to connect. When it rains, water tends to find a way to penetrate what seems like solid construction. Roof flashing is intended to stop this from happening. To get the best results, you’ll need to call in professional help as roof flashing requires proper installation. Upon installation, your flashing should be able to account for the three factors that affect water penetration (gravity, surface tension, and wind pressure). Choosing the right materials for your flashing is also important. Apart from being durable and weather resistant, your material would also need to match your roofing materials. Combining aesthetics and function will be difficult when you have no experience, however. Professional roofers would be able to ensure that the flashing is thorough and aesthetically pleasing. Your roofers can also install and maintain your gutters. The purpose of gutters is to funnel water away from your home. If left alone, rainwater would erode the soil around the base of your walls. Plus, water dripping down the sides of your house can enter your house and damage your sidings. Installing gutters ensures that these don’t happen. Professional roofers would be able to install gutters properly so that you can get the maximum use out of them. However, gutters do a lot of hard work when it rains, leading to a lot of wear and tear. This often results in damage to the gutters, which can cause leaks or clogs. 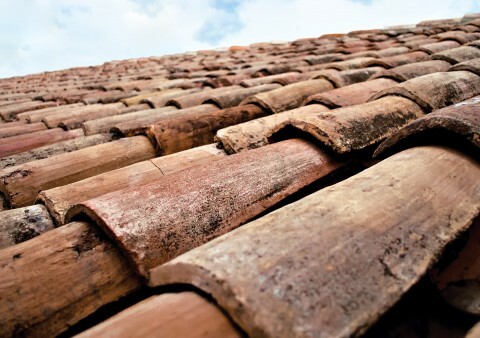 Roofers can fix these problems quickly and efficiently. The maintenance of gutters and flashing is as essential as normal roof repairs. Ensure your roof’s continued usefulness with the help of professional roofers.